There are a lot of components to consider when it comes to company payroll administration. From calculating vacation pay for your employees to issuing records of employment, we address and answer ten of the most frequently asked payroll questions regarding all things related to payroll management and payroll administration. 1. Can employers give paid time off instead of overtime pay? An employee and an employer can make an agreement in writing that the employee will receive paid time off (PTO) instead of overtime pay when they work extra hours. This is referred to as “time off in lieu” or “banked time”. 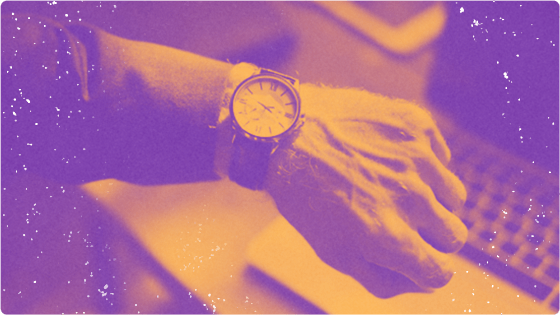 If an employee has agreed to bank their overtime hours, they must be compensated at the rate of time and a half (1.5 hours) of PTO for each hour of overtime worked. Typically, paid time off must be taken within three months of the week in which the overtime was earned. 2. How is the rate of vacation pay calculated and when is this pay payable? According to the Employment Standards Act, vacation pay rate is calculated as a percentage of the wages an employee earns during the year. Starting with the minimum requirement of two weeks of annual vacation time, vacation pay is 4% of all earnings made in the first year of entitlement, and this rate accrues based on each consecutive year of employment. The sum of the vacation pay is payable before, during, or after the taken vacation time, which is dependent on the established policy as set by the employer. If agreed to in writing by the employer and the employee, vacation pay may be paid on every paycheque. For further details on paid time off and annual vacation policies, check out our blog post on paid time off policies. 3. How is statutory holiday pay for employees determined? Eligible employees are entitled to be paid an average day’s pay on statutory holidays and on a day-off in honour of a statutory holiday (if the stat holiday falls on a regular day-off). An average day’s pay is calculated by dividing the total wages (including commissions and vacation pay, but excluding overtime pay) earned in the 30 calendar days before the statutory holiday by the number of days worked. For more information, read our complete guide to statutory holiday pay. 4. What is the bonus tax method? The bonus tax method is used for calculating taxes, along with CPP and EI deductions, on bonuses, retroactive payments, and other payment outliers. Calculating bonus tax varies in ease and difficulty level. For a breakdown on how to process the calculations, check out our blog post on the bonus tax method. 5. I accidentally overpaid an employee through a payroll error — what do I do? If the overpayment was due to an administrative miscalculation, you are required to rectify the payment through deductions. The amount of the overpayment should also be deducted from the total income listed on the employee’s T4 form. If the employee pays back the owed amount within the year of the error, they’re only required to pay back the net total (provided that you can adjust the remittances before the year’s end). To determine if you have the right to deduct overpayments or if you must first request consent from the employee, read our blog post on dealing with overpayments issued to employees. 6. What are the tax implications of paying an employee in cryptocurrencies? Since cryptocurrencies are managed by advanced computer algorithms and not by a central bank, digital currencies such as Bitcoin, Dash, and Ethereum are not considered legal currencies by the CRA. However, they are still taxable. Employers and employees are advised to keep track of the equivalent Canadian dollar value of the cryptocurrency upon the initial exchange of the cryptocurrency. For more information on paying employees in cryptocurrency, see our blog series on cryptocurrencies. 7. When do I report payroll remittances to the CRA? You will need to send remittances to the CRA according to their submission schedule. The deadlines vary depending on your average monthly withholding amount. Penalties will incur for missed deadlines. For more on determining your remitter classification and remittance deadlines, refer to our easy-to-follow guide to payroll deduction remittances. 8. Are taxable benefits subject to EI and CPP deductions? Yes. If an employer provides a taxable benefit to an employee, the employer must calculate the value of the benefit, calculate the proper payroll deductions for the taxable benefit, and file an information return. Additionally, bonuses, incentives, awards, and gifts are also considered taxable earnings and unless stated otherwise, are subject to CPP, EI, and tax deductions. If paid in kind, the value is subject to CPP and taxes but not EI. The Employers’ Guide to Taxable Benefits and Allowances informs employers on which taxable benefits are subject to CPP and EI withholdings along with the codes that are required to report them on the employee’s T4. 9. Which small business expenses are eligible for tax deduction claims? Spending related to the management, operation, and growth of your small business, from annual license fees to meals and entertainment expenses for entertaining clients, can qualify as partially or fully deductible. For a list of eligible small business expenses, see our blog post on tax deductions for small business owners. 10. When do I need to distribute T4 slips to my employees? Employers are responsible for preparing T4 slips for all of their company’s current and previous employees who received income during the year. T4 slips must be sent out via mail by February 28th. If opting to go the paperless route, you must have an employee’s written permission for them to receive their T4 electronically. For a comprehensive guide to the T4 process, download our free Year-End Guide for Payroll Pros. Rise can help you navigate and automate your payroll processes with accuracy and efficiency. Book a free demo today to discover how. 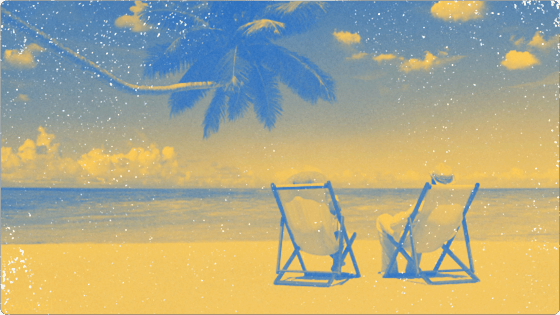 Vacation Time & Vacation Pay: What’s the Difference? All employees are entitled to a paid vacation in Canada. However, the vacation time and vacation pay they receive are two separate issues. Paid Time Off Policies: What Needs To Be Tracked? Many employers implement paid time off policies without tracking them effectively. Here's how to avoid making that mistake.